Dr. Jasbir Singh Ahluwalia has completed M.B.B.S. from S.P Medical College. He completed M.D. 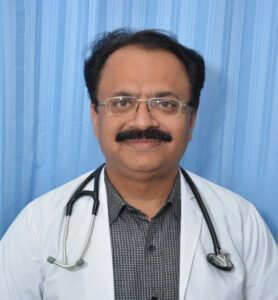 Medicine from S.N Medical college and also he completed (DNB) Nephrology from Muljibhai Patel Urological Hospital, Nadiad, Gujrat. He is member of Indian Society of Nephrology. He has rich experience of 16 years together working with Rumoured Hospital.